The Port Orchard mayor is in his first term in office. OLYMPIA — Port Orchard Mayor Rob Putaansuu was elected to the Association of Washington Cities board of directors on July 28. According to a notice from the City of Port Orchard, Putaansuu was elected to the District 12 position — one of the 23 positions held by city mayors and councilmembers — which includes 21 cities and towns in Clallam, Grays Harbor, Jefferson, Kitsap, Mason, Pacific and Wahkiakum counties. 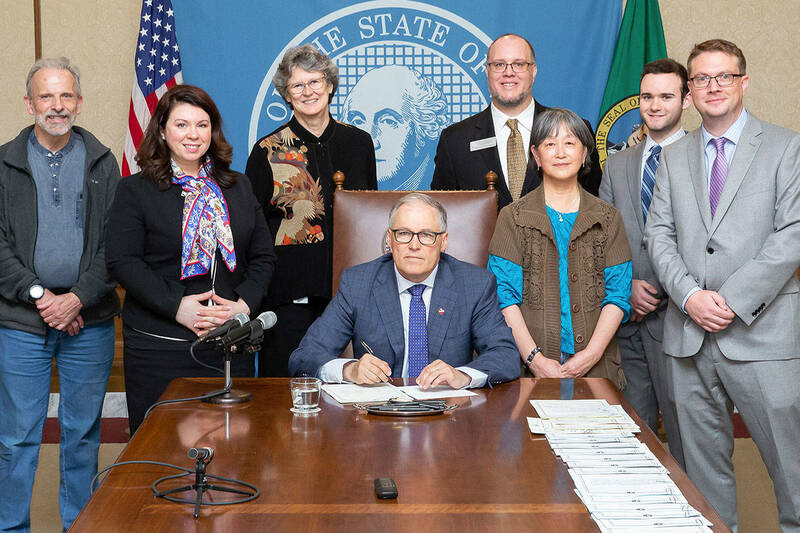 The AWC was founded in 1933 and represents Washington’s cities and towns before the state Legislature and the governor’s office, as well as state regulatory agencies. The AWC board of directors is the association’s governing body. Putaansuu said he is pleased to be elected to the position. “I look forward to serving on the AWC’s board of directors, Putaansuu said. In addition to the 23 mayors and councilmembers on the board, two non-elected city officials serve as president and past president of the Washington City/County Management Association.